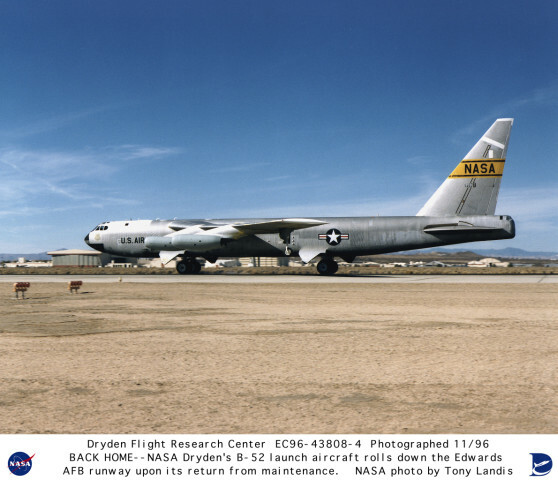 A Short introduction to Edwards AFB. Edwards AFB is located approximately 95 miles North of Los Angeles near the cities of Lancaster and Palmdale. The base itself covers 301,000 acres. Edwards AFB also has extensive ranges which again extend into Military Operating Areas (MOA) East and North East of the base. The Area has two bases, Edwards AFB South and Edwards North Base. The North area of the base is where a lot of secretive programs are developed and coincides with programs at Groom Lake and Tonopah with Detachment 3. A lot of this area is very restricted and has security vaults where only people with the right cards get through. Rogers Dry Lake extends from the south base right up to the northern boundary of the base near the road from Barstow to Mojave (Hwy 58). From this road you can actually see a lot of the North Base, but due to the very hazy conditions, usually this isn't possible to get a good view, although you can make out tails of aircraft and the prominent Tower and extensive hangarage. The Dry Lake has an extremely long runway, and it is this runway where the Space shuttle lands if Florida has bad weather. The Shuttle, according to Edwards, has been landing at Rogers Dry Lake since 1981 and is transported back to the Space Center in Florida on top of a modified Boeing 747. Edwards is the home to over 10,700 personnel and over 6,300 civilians work here. Feats of aviation have been made here. The first man to go through Mach 1, 2, 3, 4, 5 and 6 have been made here. The X-15 making Mach 6. Nearby and south of the Southern Base is Air Force Plant 42, located in Palmdale and home of the Lockheed Skunkworks and Northrop Black Projects Divisions. Its only a few minutes trip by air to Edwards for testing. Ideal for anything 'black' and sinister to come out at night where preying eyes cant see it. 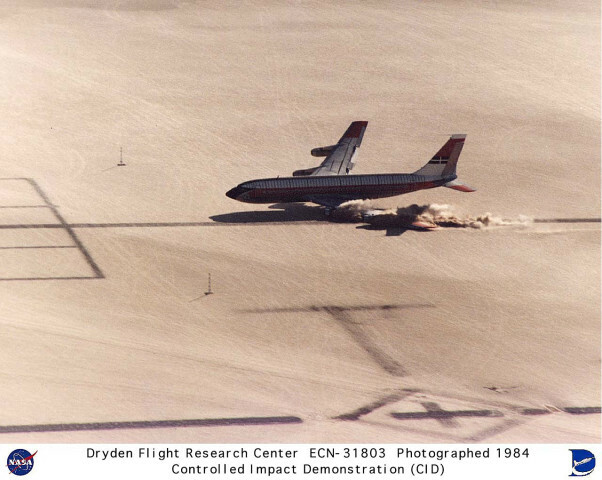 For a Detailed look at Edwards AFB and Dryden Flight Research Center please see these Satellite Images. The runway system here is unique in the world, with the longest runways in the world for a normal base facility. They are located on two large dry lake beds, Rogers and Rosamond of which Rogers is the main lake bed for operations and is the largest of the two. Both lake beds have been used for Emergencies, Tests and Contingencies for over 40yrs and the lake beds flat surfaces and open expanse of compacted Clay surface area have saved many hundreds of lives and many aircraft to go with them. Rogers Dry Lake Bed is massive and ideal for operations at Edwards AFB. Edwards AFB was first set up on the western edge of the lake bed and has grown around the lake bed as of present. The Lake covers approximately 44 ²miles. Each Runway is 'drawn' onto the compacted clay and seven runways exist on the bed. In Winter time, when Edwards does get its storms, rain may come down onto the lake bed and cause minimal flooding at the base of the mountains. However this is rare due to Edwards only getting a few days of rain each year! Rosamond is approximately 21 ²miles and is located a few miles South west of Rogers Lake. According to Edwards AFB, this lake is used for frequent tests and research and also used for emergencies...which it has had its fair share of. Rosamond has two runways drawn onto the bed. Edwards AFB has its main runway (04/22) made out of Asphalt and is located on the edge of the Lake. The Asphalt part of the runway is 15,000ft in length and was made with a single pour of concrete! It has a 9,000ft run-off into the lakebed making it 24,000ft long. It is 300ft wide. At the southern most part of the base is a smaller utility runway (06/24) and this is constructed of Asphalt and 8000ft by 300ft but only 5,000ft by 50ft is useable. The eastern most 1,000ft is not useable at all. This runway is only used for aircraft limited to 12,500Ibs or less. At the very north end of the lakebed is North base and this has its own dedicated runway for the secretive operations that go on there. The runway is 06/24 and 6,000ft by 150ft and is used mainly by Janet airlines Beech Airs and other aircraft taking various workers to and from other facilities. There is an extensive taxiway system and is superbly looked after just like all the other Edwards taxiways. If North Base has larger visitors the dry lake is used. 17/35 Main Rogers lake runway of 7.5 miles long. As you can see by looking at the above lengths, the runways that are drawn on the Rogers Lake Bed are massive and are mostly used for flight tests and emergencies plus the occasional space shuttle. B-2A 'Spirit' about to Land on the large runway at Edwards AFB. The B-2 was developed mostly at Edwards AFB until it was ready to go into production. NASA is also located at Edwards AFB at a facility called Dryden. Dryden is a NASA Research Facility and has very exotic aircraft located here. 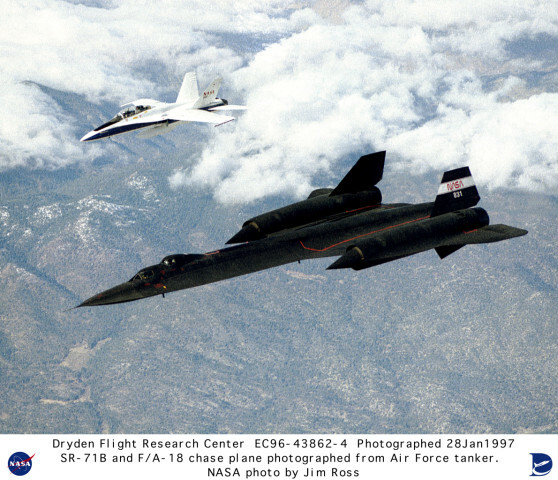 Such aircraft like the re-instated and now mothballed SR-71 to the B-52 Launch Aircraft, used to launch the X-15 and other Mach breaking aircraft. Also located here are F-18's, F-16's and F-15's experimenting with very High-Alpha maneuvers, in other words very high angle of attack (AoA). These are tested using Vectored Thrust and fly-by-wire with extended and extra canard and tail planes. Also tested here is the future Launch vehicles for Space projects, these are re-usable and land vertically or with parachute. Above are some of the current projects that are going on at Dryden. 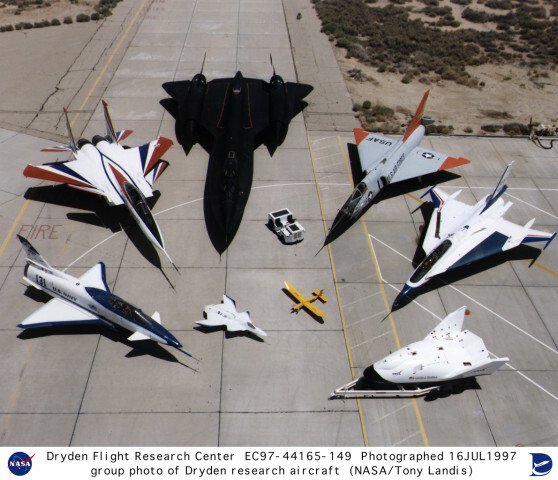 The aircraft (clockwise from top) are SR-71, QF-106A, F-16XL with a Laminar Flow Control (LFC) wing glove, X-38, "Mother" RPRV, X-36, X-31, and NF-15B ACTIVE. "Mother" has been launching radio-controlled research models since the early 1960s. Edwards AFB has a vast amount of Military Operating Areas(MOA) to test aircraft in. These range from the actual Edwards AFB airspace to the Owens, Shoshone and various other MOA in close proximity. Also available is the unlimited testing area in the Pacific. A lot of the test flying out of Edwards is carried out around the actual Restricted Areas and MOA's. One such area is the R-2508 complex. Operations in here vary from test flying new aircraft, secret testing, supersonic runs, agility testing and so on. Driving along Hwy 58 you will find a lot of VERY interesting things in the sky....but watch it, you may get a UAV or an aircraft testing crash on your head....Hwy 58 has had a fare share of incidents where aircraft have dropped from the sky on to it. It has had the X-31 crash near by and also a UAV crash ONTO the highway. Anyway here are some nice things showing the (r)areas. The Blue colored orbit areas are Refueling Areas known as AARA (Air-Air Refueling Areas). The Black boxed areas are Restricted Areas such as Edwards at the bottom....China Lake and Ft Irwin above. The red hashed colored areas are noise sensitive areas however aircraft can fly over these areas but NOT low level....above 1,000ft is practical for noise reduction. For a map and description of Low Level, Supersonic and other training areas for Edwards Based Flight Testing take a look at our R-2508 Restricted Area Usage Map. If you do NOT have a military aeronautical chart showing the MOA Areas of operations then please go here for the co-ordinates in longitude and latitude so you can plot them on your own maps: MOA Co-Ordinates. Edwards and Dryden also test projects for the NTSB and other FAA regulators. 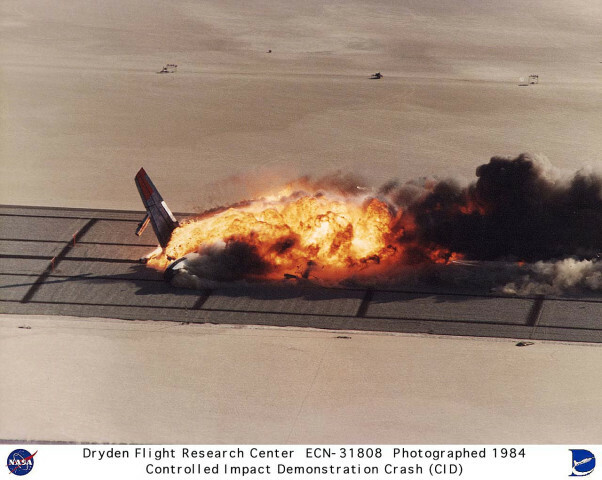 One such famous test was a controlled crash of a Boeing 720(B707) into Rogers Dry Lake to test a fire retardant jelly mixed with the fuel. The test failed and the aircraft burst into flames instead and the dummies onboard were all burnt to ashes, not a very re-assuring test, was it? 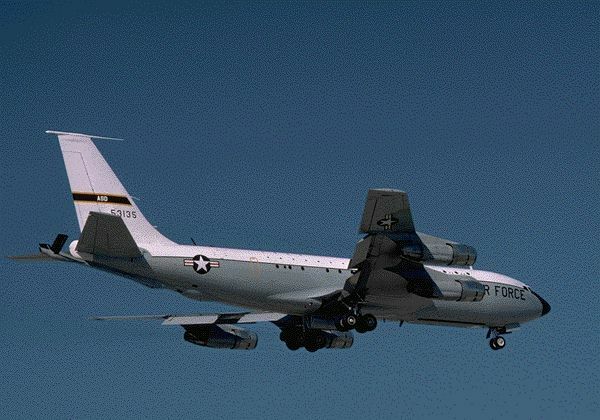 Other exotic aircraft include aircraft like the NKC-135 and NKC-18 (EC18). These aircraft are very modified KC-135 Tankers. There are many variants of the NKC series ranging from Calibration, Black Project in-flight refueling, visual identification trials(NCK-18) and also Radar jamming, elint, sigint. Another Variant of the NKC-18 is the ARIA. ARIA stands for Advanced Range Instrumentation Aircraft and is involved mainly for cruise missile test monitoring. One such NKC-135 has so much electrical and jamming equipment on board it can simulate any known threat and also jam any known radar. This is used in exercises and also testing. The NKC-135 Refueling Tanker is the Tanker used for topping up Aircraft on trials not yet in operation such as the F-22. They are also seen over Nevada being used to top up 'other' aircraft. Other NKC-135 variants include the FISTA. Located also at Edwards is the Air Force Flight Test Center (AFFTC). Detachment 3 are the guys who co-own Groom Lake (Area 51), Tonopah and many other facilities. The AFFTC does what the name tells you, tests aircraft for future and current use in the United Sates Air Force. 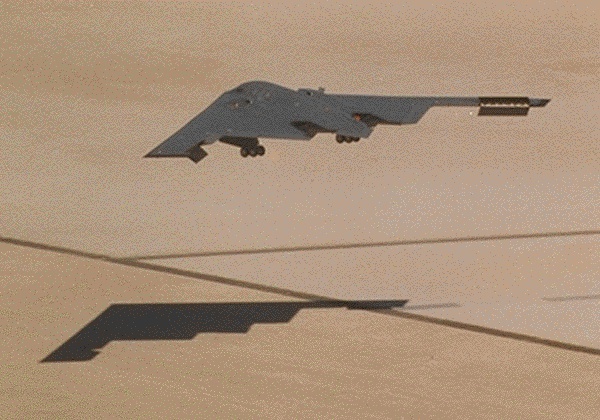 Darkstar was a very advanced 'stealth' Unmanned Aerial Vehicle(UAV). Reason's for its Cancellation is probably from funding going to another aircraft currently also being tested and developed at Edwards AFB, the F-22 'Raptor' Air Superiority Fighter. Darkstar was also bogged down by problems, as is the F-22 Raptor. The main problem being money! and crashes. The F-22 had a minor incident caught on film when on low pass over the runway, the aircraft experienced severe pitch oscillations causing the F-22 to slam into the runway and skid down the asphalt in a cloud of smoke and sparks. This was not a severe set back. 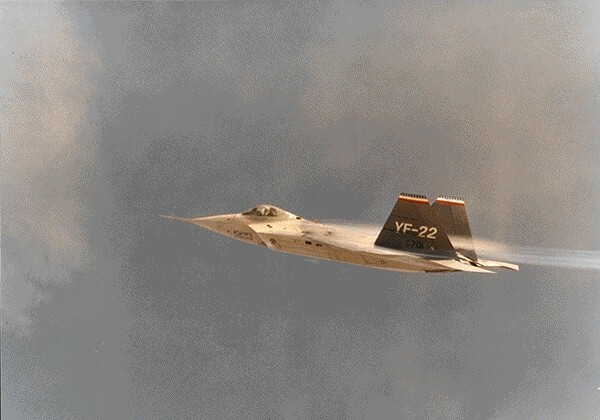 I have the Video of the F-22 incident on CD-ROM but it is too big to put onto the website unfortunately! Other UAVs are being developed and tested at Edwards and also at Groom Lake...Tier-2 and most notable Tier-3 plus. Teledyne Ryan are also involved in the Tier projects, indeed some Tier projects are actually developed by Teledyne. Another set of aircraft you will see at Edwards is normal aircraft such as Gulfstreams but with hugely modified noses and cockpit areas. These modifications are to visually and operationally make the aircraft into an effective simulator that actually flies. Such aircraft make good simulators for the Space Shuttle, or the aircraft may be used to test certain Radar's and avionics suites. A short hop from Edwards AFB and you come across Mojave airport. Located 18 miles NW of the actual base it is home to many 'mothballed' civil and military aircraft, similar but much smaller than AMARC at Davis Monthan AFB and Tucson Arizona. Located in Mojave are other Test aircraft. At present, British Aerospace Flight Systems (Marconi) F-4 Phantoms are here testing sensors for the new British smart anti-armor weapon, the Brimstone. Located in the nose of the Phantom is the Brimstone's millimeter wave radar. The actual missile tests are being done at China Lake NAWC North of Edwards AFB with Royal Airforce Aircraft. Another British weapon being tested at China Lake is the most advanced Cruise missile called 'Storm Shadow' with a special smart bunker-busting warhead named the BROACH. No doubt Edwards and Mojave also are involved. 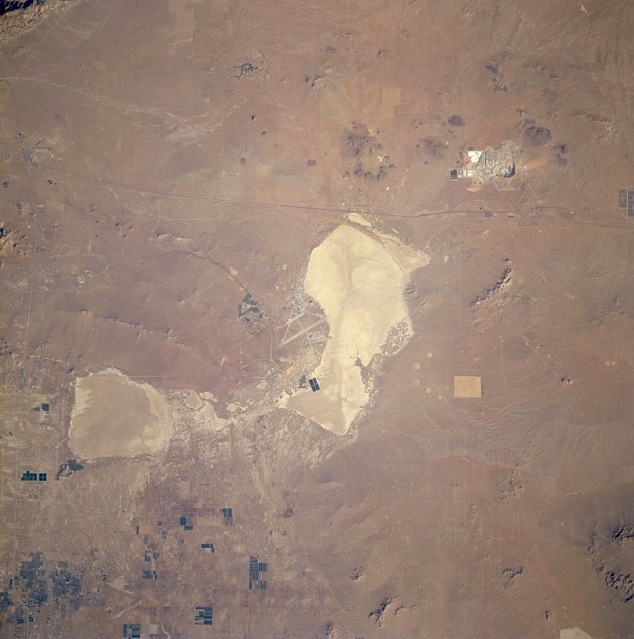 Above is an image of Edwards taken from the Space Shuttle. In the center we can see Rogers Dry Lake and the main Edwards AFB area with its large runways. Because of the resolution you cannot make out the dry lake bed runways or the compass rose... neither the secret North Base near Highway 58 at the north end of Rogers Lake. To the lower left (southwest) we can see Rosamond Dry Lake and one of the main Gate areas. In the lower left corner is the town of Lancaster. In the upper left is the Mojave Airport where currently KC-135R tankers are undergoing an upgrade to KC-135S standard. Also here are many mothballed airliners. Leading east from Mojave is Highway 58 which goes out of the frame on the right towards Barstow. The dark patched area at the very right, north of Highway 58, is the worlds largest solar power plant. The light colored patch northeast of Rogers Lake and North Base is the Boron Works. Exclusive Edwards AFB Photo's taken from an F-16 Falcon Chase Aircraft.